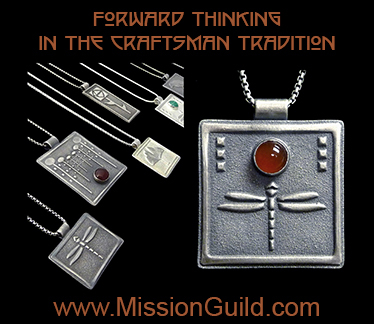 Mission Guild Studio is a “Unique” dual artisan owned & operated studio specializing in a revival and renewal of Arts & Crafts era ideals. With a strong passion and established philosophy of “Forward Thinking in the Craftsman Tradition” this studio offers both traditional and one of a kind art furnishings & decor. 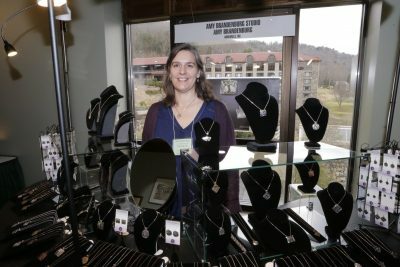 Although widely known for their exceptional & distinctly recognizable framed tiles, the artisans at Mission Guild specialize in multi-mediums such as Rare Hardwoods, Clay, Precious Metals/Jewelry, Paintings, Prints and Glass. Individually they each bring you over 20+ years of experience in the arts and design. Oh… Don’t forget to “Like Us” on Facebook! Mission Guild Studio has an exclusive Facebook page where you can see several of our newest works as they are born and first revealed to the public.